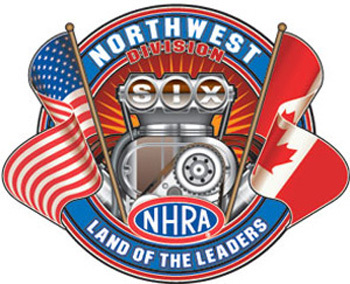 The NHRA Northwest Division returns to Woodburn Dragstrip on September 14-16. The event is one of 44 scheduled across the country where drivers in the NHRA Lucas Oil Drag Racing Series earn points leading to divisional, regional and national championships as well as a chance at a share of the year-end purse of more than $519,000. Categories include Top Alcohol Dragster, Top Alcohol Funny Car, Comp Eliminator, Super Stock, Stock Eliminator, Super Comp, Super Gas and Super Street. The division’s JBS Top Sportsman Series, RAD Top Dragster Series and the Sportsman Motorcycle Series will also run in conjunction with the event. Gates at Woodburn Dragstrip opens at 8 a.m. each day. Qualifying and time trials are Friday and Saturday at 9 a.m. Top Alcohol Dragster and Funny Car have test sessions Friday at noon and 4 p.m. and qualifying rounds on Saturday at noon, 2:30 and 5 p.m. Eliminations start Sunday at 9 a.m. Top Alcohol Dragster and Funny Car run round 1 at noon. Tickets for Woodburn Dragstrip are $15 Friday, $25 Saturday and $25 Sunday. Children 6 to 14 are $5 each day. Children 5 and under are admitted free with a paid adult. Woodburn Dragstrip is located at 7730 Highway 219, 1½ miles off I-5 at Woodburn exit 271. For more information call the track, (503) 982-4461, or visit www.WoodburnDragstrip.com.